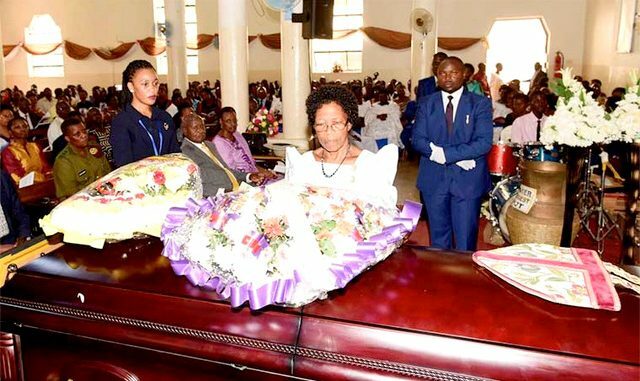 Ruth Nalweyiso Nkoyoyo, the widow of Archbishop Livingstone Mpalanyi Nkoyoyo, has asked mourners not to feel sad about the death of her husband, but instead celebrate the life of the departed prelate. While eulogizing her husband at All Saints Cathedral in Nakasero, Mrs Nkoyoyo started by singing ‘Tukutendereza Yesu’, a popular Anglican hymn, composed by the late Reverend Simeone Nsibambi. “We have come to celebrate the life of my friend. He has gone to be with his God whom he served and loved very much,” Ruth told mourners. Nkoyoyo, a retired Archbishop of the Church of Uganda, died on Friday at Kampala hospital where he had been undergoing treatment for Pneumonia. He was 80. In early 2017, Archbishop Nkoyoyo underwent successful treatment for cancer in the United Kingdom. Ruth says her husband of 52 years always told people not to feel sad at his passing. The couple got married on May 1, 1965 at St. Paul’s Cathedral, Namirembe. 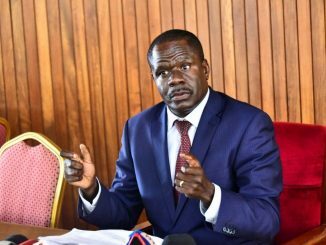 Together, they had five children – Isaac, Naomi, Martin (deceased), Margret and Julius Nkoyoyo. In 2015 when the couple celebrated 50 years in marriage, Ruth talked of love and trust as the bedrock of their long marriage. “He loved me unconditionally, and, because of this, I found it very easy to love him back,” she said. The family said Nkoyoyo had friends from all denominations – with his religious might cutting across all beliefs. He had passion for a martyrs museum at Namugongo and looked forward to its completion. President Yoweri Museveni pledged to complete the museum. 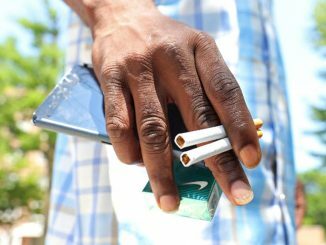 He said he will hold discussions with Archbishop Ntagali to see what’s needed. James Abola, the head of laity at All Saints Cathedral, lauded the departed archbishop for championing the construction of the new cathedral at Nakasero. Abola said the kingdom of God expanded under the leadership of Archbishop Livingstone. Representing the clergy, the vicar of All Saints Cathedral, Reverend Canon Geoffrey Byarugaba, said Nkoyoyo also steered the construction of Church House which had stalled for decades. His hand was all over several other projects including the Bishops’ palace and synod. Even in his retirement, said the vicar, Archbishop Nkoyoyo was busy with the construction of the Uganda martyrs museum, Namugongo.